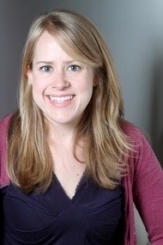 Margaret Peters is an Associate Professor in the Department of Political Science at UCLA. Her research focuses broadly on international political economy with a special focus on the politics of migration. Her book, Trading Barriers: Immigration and the Remaking of Globalization (2017, Princeton University Press) examines the relationship between trade policy, outsourcing, and immigration policy and received the Lowi award for the best first book from APSA and IPSA, and the Best Book Award from the IPE and Ethnicity, Nationalism, and Migration Sections of the International Studies Associations and the Migration and Citizenship section of APSA.